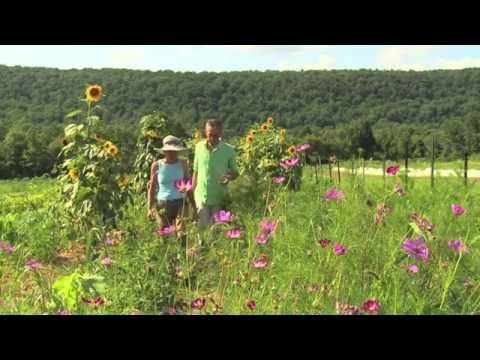 Doctor Closes Practice And Buys An Organic Farm, Patients Are Thrilled! Let food be thy medicine has never seemed so appropriate. 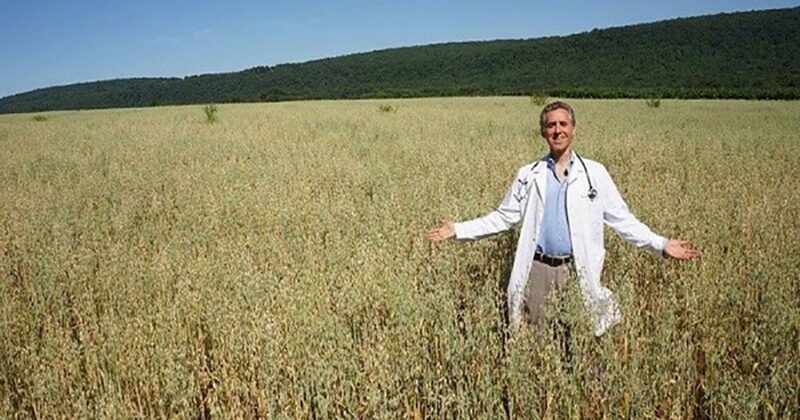 Following the natural food trend, New Jersey doctor Robert Weiss sold his 25-year-old medical practice to take his medical expertise to the farmlands. He teamed up with Nora Pugliese, an organic farmer with over 20 years of experience, to take over a 348-acre, 18th-century farm in Long Valley. 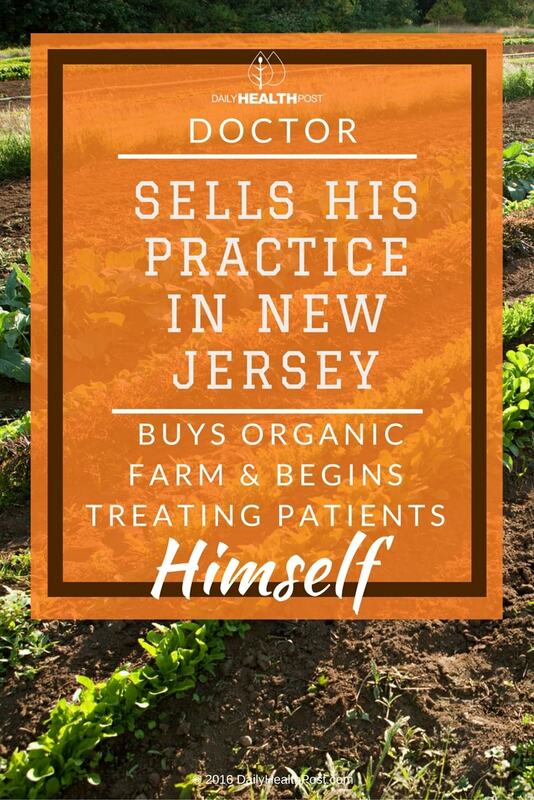 Together, they’ve launched New Jersey’s first organic farm & practice, where patients are treated through a holistic nutrition-based treatment (1). Ethos Primary Care welcome from Ron Weiss, M.D. Weiss, an assistant professor at the Rutgers New Jersey Medical School in Newark, explained that fruits and vegetables contain nutrients that prevent inflammation, which is believed to be the cause of many chronic diseases. In fact, Dr. Weiss treats patients without pharmaceuticals or surgery, and he’s had incredible results. Dr. Weiss, an emergency room physician at the time, first approached nutrition when his father was diagnosed with pancreatic cancer and given only a few months to live. Weiss quit his Los Angeles position to set up a private practice in New Jersey, where his father lived (2). A former botany major, he then started treating his father through a plant-based diet. Within a few months, Weiss’s father’s tumor had shrunk. He was even healthy enough to go back to work as a lawyer and lived, healthy and energetic, for another 18 months. Another patient, Robert Ungar sought Dr. Weiss’s help after a rare eye tumor grew back after being surgically removed. Knowing he would likely lose his sight Ungar feared that he was not healthy enough to undergo surgery again. Ungar followed a personalized “30-day challenge” of greens, fruit, some spices, pomegranates, and black, red or brown rice. By the end of the challenge, his cholesterol dropped 70 points. Although the tumor did not stop growing, he felt strong enough to undergo surgery and has been healthy since. Best of all, he did not lose his vision. Most remarkably, Dr. Weiss’s success stories also include 90-year-old Angelina Rotella of West New York, who was wheelchair-bound and suffered from congestive heart failure. Mrs. Rotella’s daughter, Angie Rotella-Suarez, carefully prepared her mother’s meals. Her strict diet includes whole grains, complex carbs (including sweet potatoes), steamed greens (including kale and spinach), fruit, and plenty of water. Within two weeks, Mrs. Rotella no longer needed her blood pressure medication. After witnessing their mother’s miraculous recovery, Rotella-Suarez and her sister both adopted the vegan diet and each lost 40 pounds. Better yet, they are both no longer pre-diabetic. Dr. Wiess’s community-supported agriculture project, Ethos Health, currently supplies fresh vegetables, fruit, and herbs for 90 families, who pay a membership fee and volunteer at the farm. This is said to improve their relationship to food and help participants stick to their diet. Ethos offers its patients with fresh food, tailored diets, cooking classes, medical evaluations, and coaching. They even teach them how to shop at the grocery store and how to make healthy choices when eating out (3). Crops currently include 40 different vegetable and fruits, including multiple types of cabbage, chard, kale, radishes, turnips, escarole, squash, herbs, and 40 varieties of heirloom tomatoes. Plus, the organization is even doing good for the community. In fact, nutrition lectures are frequently held Brookside Community Center in Mendham, where participants are educated and given real-life tips and tricks. They also have the opportunity to ask questions and find out how to apply their new knowledge. The combination of these support systems is key to the success of Dr. Weiss’s program.